Bothered by Bernie's millionaire status? Then vote for him. So Sen. Bernie Sanders, I-Vt., made more than 1 million dollars, much thanks to his best-selling book. Rarely is turning such a profit in an industry as dicey as publishing better news for your enemies than you, but so it goes: Sanders's critics are thrilled. It makes sense that they would be. After so much complaining about Sanders's ritzy winter coat and his lake house in Vermont, the opportunity to utter the phrase "made a million dollars" must arrive as a great victory. There is no socialist in America who will ever escape charges of hypocrisy, of course; even Rep. Alexandria Ocasio-Cortez, D-N.Y., who was a bartender before her election, has been accused of being secretly rich. The reason this line of attack persists is because the politics of Sanders and Ocasio-Cortez are unabashedly moral in language and sound pretty good; the only way to undermine them is, therefore, to say they don't really mean it. In my view – not really; million-makers can defend themselves, at least qua makers of millions. But there is something to say in defense of Sanders as a consistent politician and an honest broker, which is really what his detractors are out to dispute. First, Sanders's complaint isn't that millionaires exist per se – there are millionaires in democratic socialist countries such as Sweden, Finland and Norway – but that the United States' super-rich are symptomatic of a system that churns out a small class of extremely wealthy people who rule over the vast remainder. Key to Sanders's argument against the accumulation of wealth in the hands of a small elite is that their largesse allows them to wield disproportionate, anti-democratic political power by funding campaigns and lobbying politicians; seeing as Sanders's campaign is funded strictly by small donors and he is not a lobbyist himself, it would seem that his having made more than 1 million dollars in a year doesn't exactly run afoul of that critique. One might argue that Sanders should've donated whatever money he made nearing the million-dollar mark to charity – and one might also ask why he ought not have donated every single dollar he made over his family's immediate subsistence needs, regardless of the final tally. Sanders does do some charitable giving, but it's worth noting that charity and socialism are nowhere near synonymous; this is why the right-wing proposal to let free markets reign and rely on individual giving to meet the needs of the poor is something like the political opposite of Sanders's program. So while charitable giving is certainly a good thing to do, and I wholly endorse doing it, Sanders neglecting to de-millionize himself through alms isn't a failure to adequately commit to socialism. It may instead be a failure of another kind: Call it cupidity, or – worse for political types – an insensitivity to optics. Neither misstep compromises the final integrity of Sanders's politics nor implies he's insufficiently serious about them, especially after so many decades pushing the same policies with no best-selling books or millions to show for it. But whatever the critique, honest or dishonest, I agree with the general sentiment: A few people owning stockpiles of wealth while many more go without is unjust. So if you're bothered by Bernie's big payday, take action now: Vote for him. You can raise not only his taxes but also the taxes of millionaires across the country, and reap the benefits in the form of universal programs such as Medicare-for-all. Have so many birds ever been felled by a single stone? 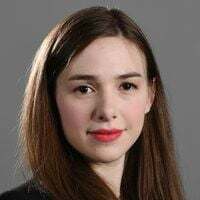 Elizabeth Bruenig is a columnist for The Washington Post.